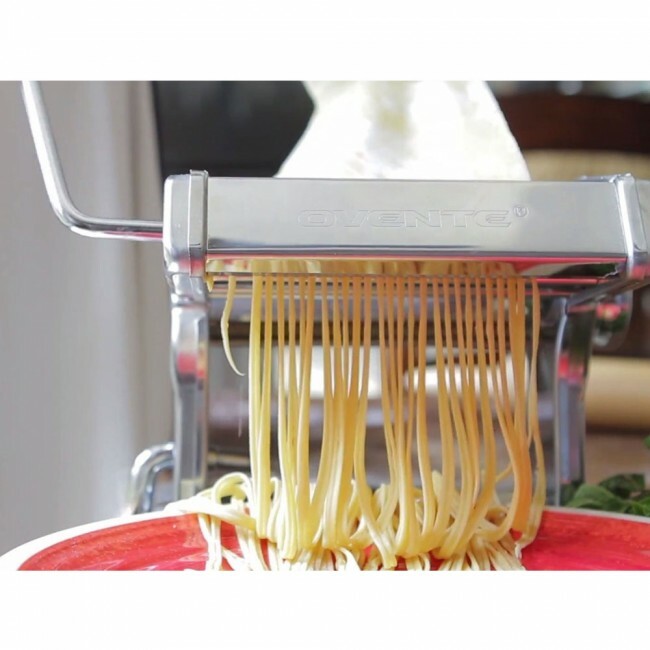 Savor the flavor of fresh, homemade, restaurant-quality pasta made right in your own home. Say goodbye to boxed, pre-packaged, and mass-produced pasta! 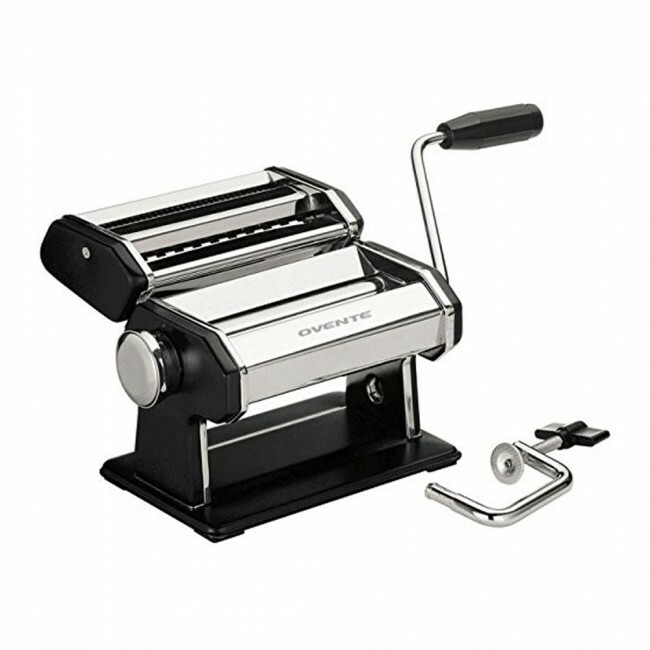 The flavor and texture of homemade pasta is unlike anything you’ve tasted, and nothing can compare once you’ve tried it. You’ll never want to eat boxed pasta ever again! 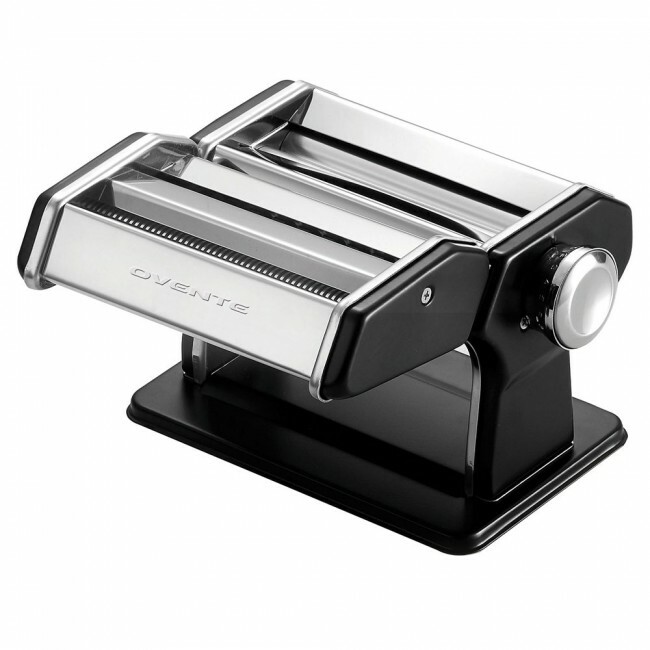 Luckily, with your Ovente Stainless Steel Pasta Maker, you won’t have to. And you can enjoy fresh pasta anytime, anywhere. Your pasta dishes will surely be a hit among friends and family at parties, potlucks, and other events. So go ahead, share the wealth. 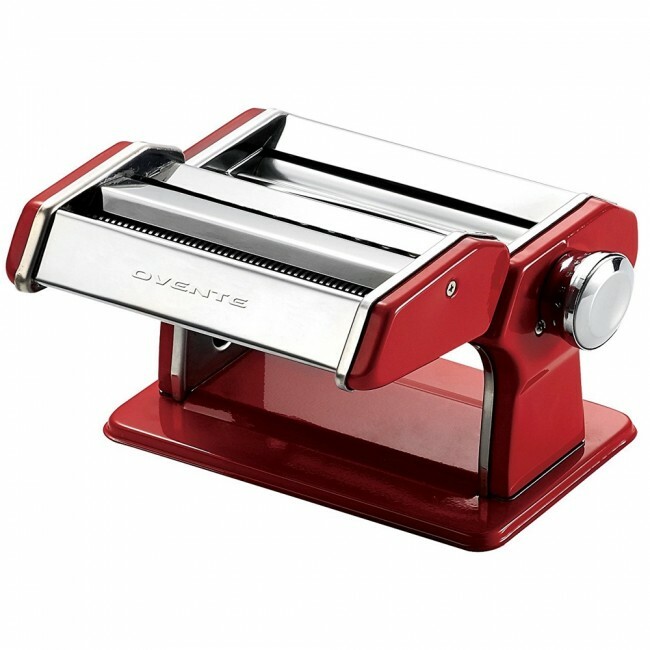 To make pasta, affix the clamp to a table, then prepare the dough on a powdered table and flatten it out by passing it through the machine. 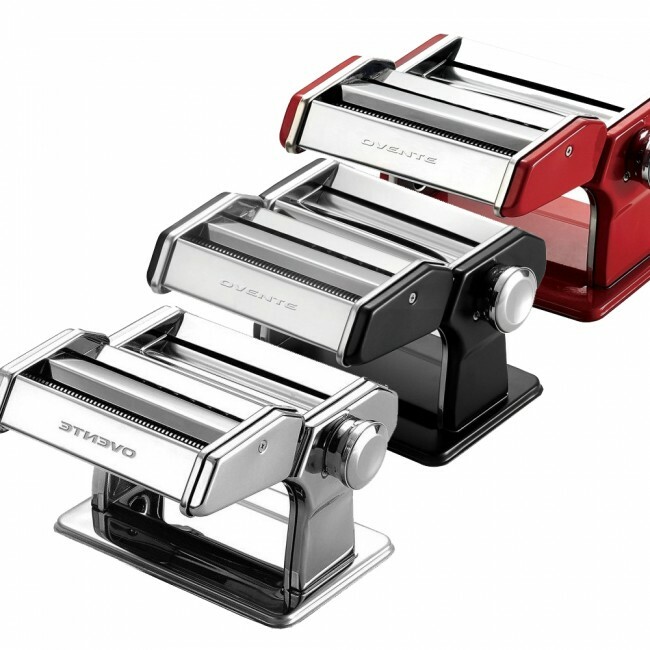 The pasta maker gives you 7 different thickness options ranging from 0.5 to 3mm, so flatten it out until you reach your desired thickness, then repeat. 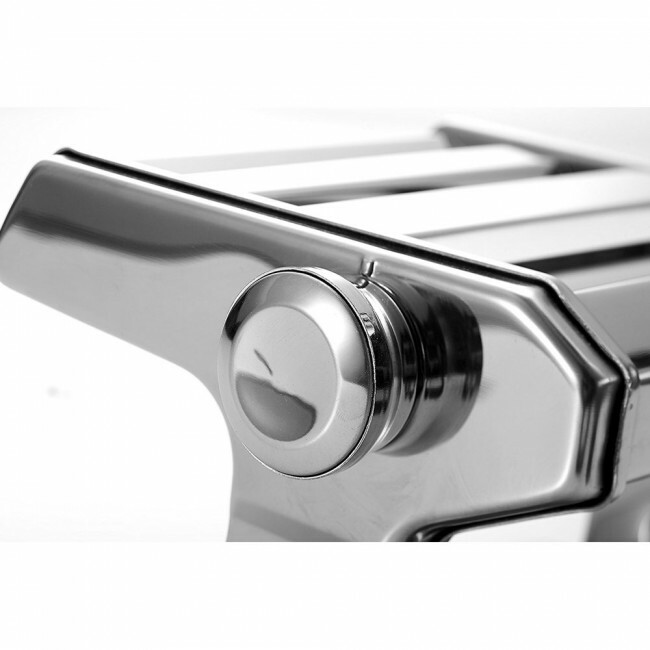 Please see user manual for more detailed instructions. 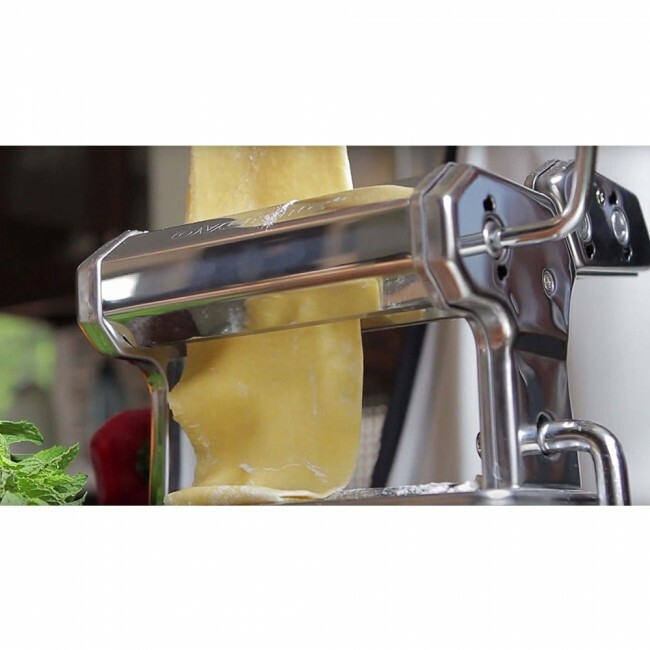 Not only can you make the best-tasting pasta with this versatile appliance, you can also use it to make ramen noodles, flatten out polymer clay, fondant for cakes, and roll out dough to serve any purpose. 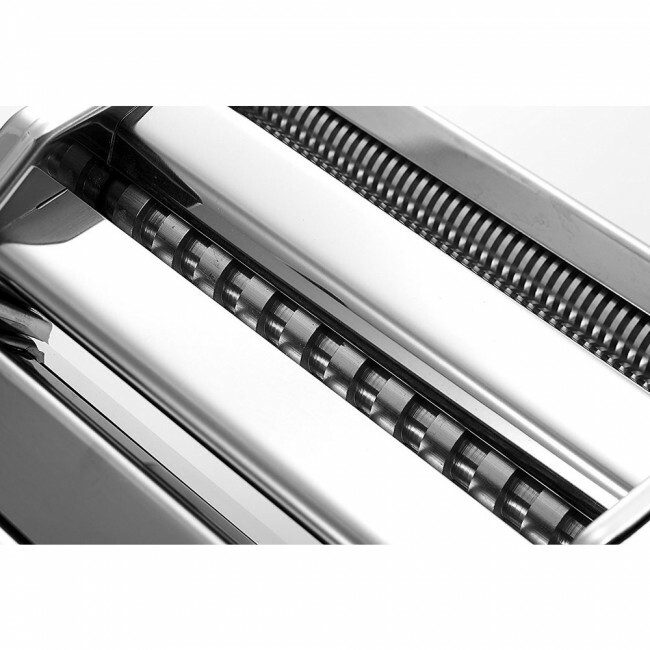 So if you’re not feeling like pasta today, there are many other things you can create with your pasta maker, which was designed for everyday use. 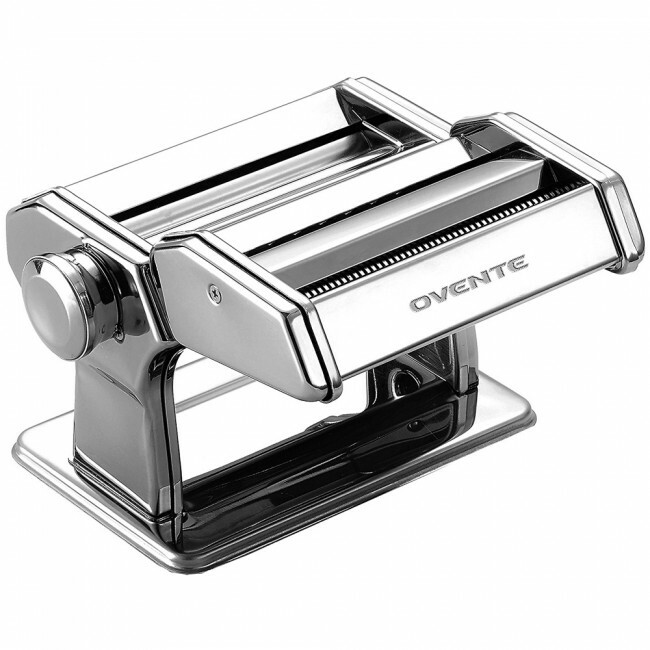 NOTE: Ovente Double Cutter Attachments (separate ones not included with this) and Pasta Motors are not compatible with this model, only the PA515 Series are.